The International Foundation Programme in Business is ideal if you are looking to study a business-related undergraduate degree. This programme is run across 2 semesters and is designed to prepare you for degree-level study in the UK. You will be taught by staff who have a combination of academic and real-world business experience to enhance your understanding of business theories and concepts. If your qualifications and English language skills fall below the entry requirements for your chosen undergraduate programme, then this course is for you. The course offers you the opportunity to develop your English language and study skills, combined with the study of academic subjects. The programme is multidisciplinary and provides progression on to a wide range of business degree programmes at Northumbria University. This course seeks to develop the core skills you will need to successfully study a degree at undergraduate level in the UK. You will study 6 modules in total during your time on this course. These will help you develop the academic and English skills needed to successfully make the transition to studying in the UK and include global studies topics and a wide range of cultural texts to aid your learning. In addition, weekly topics of global studies are used across two modules to develop a broad understanding of core issues and how they can affect business. You will also undertake 2 modules that will focus more on the world of business and IT, aiming to develop your business acumen. The first of these modules will introduce you to Information Technology and the impact this has on society. You’ll also gain practical experience using different computer software so you’ll be able to produce documents, spreadsheets, presentations and databases to a professional standard. In the second of these modules you will be introduced to business and management. It aims to give you a greater understanding of some of the principal functions of business and an awareness of the impact of the internal and external environment. The International Foundation Programme in Business prepares you for a wide range of programmes within business by introducing the key concepts that will be built upon in your undergraduate studies. You will be taught by staff who have a combination of academic and real-world business experience, meaning that you can benefit from the theory and how this is applied to real case studies. It also provides a solid grounding in general studies though core modules in English language to enable you to understand key texts through reading and critical analysis skills. 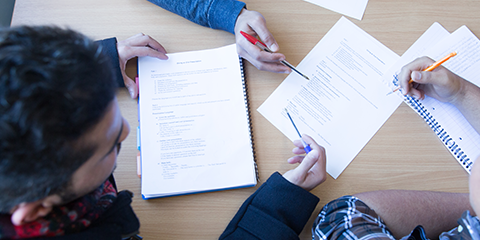 These modules also focus on writing essays and reports, grammar – all of which will prepare you for your undergraduate studies. In addition you will also cover core aspects of ICT to enable you to perform at the level expected at undergraduate study. You will use a range of key software to produce documents, reports, presentations and illustrations of data. The programme specifically develops your awareness of academic culture in the UK as well as intercultural issues to enable you to integrate well into student life within a UK university. It helps you to participate fully in lectures, seminars and project work and develop your independence. Intercultural skills are also an important employment tool that will be useful for you in the future. The programme is designed to provide a solid foundation to studying in a British university and you will benefit from staff who are used to supporting international students through this important transition. How will I be taught and assessed? Teaching and learning is carried out through seminars, lectures, tutorials and workshops, totalling around 15-18 hours per week. In addition, you will be expected to spend 15-20 hours a week on independent study through self-directed learning. Teaching and self-directed learning also makes use of the University’s electronic learning portal (Blackboard) and you will be encouraged to use the technology in preparation for your future studies. Assessments take place through a mix of group presentations, oral examinations, written assignments, portfolios and exams. Reflection is a large part of your development and you will produce a learning journal to track your progress as you encounter many new ideas, techniques and practices. You will be taught by module tutors to support your academic needs. In addition to this, you will be allocated a guidance tutor at the start of the programme. Your guidance tutor is your first point of contact for anything outside of the classroom that affects your learning. You will meet your guidance tutor at the start of each semester for a formal meeting. In-between this you can arrange to meet them at any point and they may also contact you if they need to meet you. All conversations with the guidance tutor are confidential and they will always be the first point of contact should you need them. Meet your Programme Leader, Mark Husmann. Which courses can I go on to study? Upon successful completion and subject to specific entry requirements, you can go on to study a range of business undergraduate degrees at Northumbria University. To progress and be eligible for entry on to our undergraduate degree programmes you must achieve at least 50%* and grades BBBB in English in your foundation programme. Use the table below to compare pass rates with UCAS tariff points. For example, if you achieve a 50% pass mark then you can go on to study programmes that require 112-120 UCAS tariff points. Upon successfully passing your programme you will receive a Foundation Diploma in International English for Academic Communication which some other universities may also accept as an entry qualification. We welcome applications from students who have obtained good grades in their upper secondary education. India – Standard 11 with 55%, Standard 12 with 50%. Malaysia – SPM Malaysia School Certificate, Forecast results accepted – UEC pass grades also accepted. Depending on your chosen degree course, specific subject requirements may apply. Our team will be able to help confirm the details for you. For other country specific entry requirements, please check our Entry Requirements. Alternatively, please contact our team who will be able to help you. If you do not meet the English language requirements for this programme, you may be eligible to join our English for University Studies before starting this programme. If you are under 18 at the start of the International Foundation Programme, you will need to include with your application a signed consent form by your parent or legal guardian. You can find a copy of this on our How to Apply page. This module has a lecture and seminar component and helps to prepare students for this type of module approach used by the university in their target degree programmes. Each week the topic will alternate between grammar and global studies. The global studies topics will also be explored over two weeks of the Reading and Critical analysis module. A key focus is to understand key points of a lecture, ask relevant questions and then analyse further in the weekly seminars. This module provides weekly reading texts covering Global Studies that provide students with exposure to and the experience of the types of academic texts they will be expected to read during their course. A key focus of the module will be to develop critical and analytical skills to enable students to select appropriate ideas to support argument and to paraphrase these ideas effectively in speaking and writing. This module aims to develop reflective, intellectual, analytical and oral skills. Its focus will be to raise students’ awareness of themselves as carriers of culture, to investigate concepts of otherness and to reflect on how they and others are represented within society. The module will develop oral skills, as students will be involved in discussions, debates, presentations and role-play, with the aim of developing communicative competency and confidence. This module introduces students to academic writing and focuses in particular on allowing the students to acquire skills in essay and report writing, basic research, and academic conventions. The main focus is on planning, outlining and constructing coherent discursive and persuasive essays and research reports. This module aims to provide a thorough introduction to the study of ICT. There is a focus on both practical sessions for applied ICT as well as some of the underpinning theory and concepts behind this including data protection and safe storage of data. On the applied side of the module, the focus is on gaining practical skills for future undergraduate study with a knowledge of relevant theory to understand good practice. The module encourages students to produce work through a range of Microsoft Office applications at the standard required by university including spreadsheets, presentations, databases and a variety of report and word-based documents. Introduce students to the key functions of a business including: making students aware of the external business environment; enabling students to understand the role of management in businesses; providing an understanding of core activities that take place in HR, marketing, finance, operations and strategic business management departments; providing students with an insight into communication within businesses. The programme also gives the students the confidence to fully participate in their degree activities and to build strong relationships with others. Please note that your tuition fees do not include the cost of course books that you may choose to purchase, stationery, printing and photocopying, accommodation, living expenses, travel or any other extracurricular activities. As a Northumbria University Pathway student, you will have full access to our online digital library with over 400,000 e-books and 50,000 electronic journals. The modules you will study do not require you to purchase additional textbooks. Depending on the country you are from, you may be eligible for a country bursary and/or scholarship when studying this programme. All of our scholarships and bursaries are automatically applied when we process your application and one of our team will be able to confirm your eligibility. 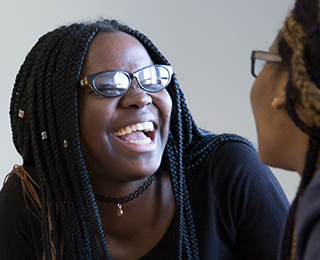 If you need support to spread the cost of your tuition, you may be eligible for our payment plan. Enquire now to find out more information about the International Foundation Programme, studying with us, the application process, and to have any other questions you have. When you are ready, you can apply online to study the International Foundation Programme in Business. Applying online allows you to upload all of your supporting documents and you will automatically receive your student application number. When applying you will need to choose the undergraduate degree course that you intend to progress on to after your International Foundation Programme in Business and you must state this on the application form. If you are accepted you will receive one offer letter for the International Foundation Programme in Business followed by the appropriate degree programme. Once you have successfully completed the International Foundation Programme and achieved the required grades, you can gain direct admission onto your chosen degree at Northumbria. We strongly recommend that you submit your application as early as possible to allow you to complete all of the preparations needed to study your programme. After receiving your offer it can take time to arrange your finances and apply for your visa (if required) and it is important that you arrive in good time to enrol on to your course. Please refer to the Dates and Fees page. If you are unable to apply online, then you can download a PDF application form and email it to pathway.admissions@northumbria.ac.uk. You can check more information on how to apply here, including guidelines for the application forms. 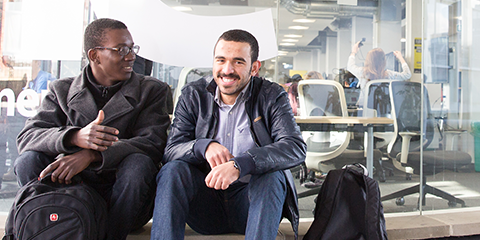 We accept applications from students from across the world on to our pathway programmes. You can check our local country-specific entry requirements here. We run start dates throughout the year depending on your chosen course. Check our application deadlines, tuition fees and payment plans we offer here. Thank you for registering your interest. We will call you to follow up on your enquiry. The pathway programmes detailed on this website are run in partnership with QA Higher Education - a UK higher education provider. All of our pathway programmes are validated by the University and taught by QA Higher Education and University staff.